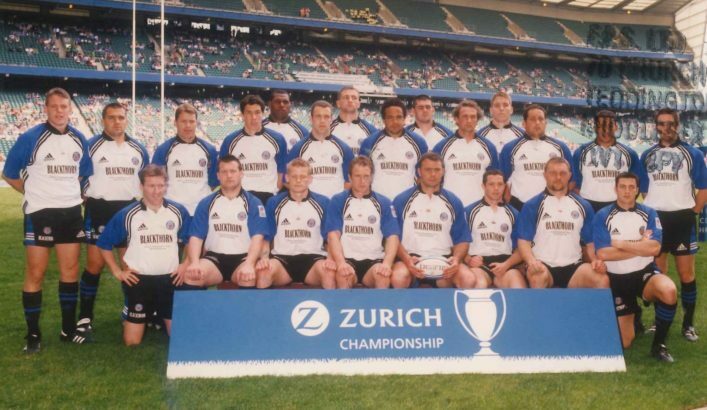 Back Row: M Perry, S Emms, J Preston, T Voyce, M Gabey, K Maggs, S Borthwick, G Thomas, E Peters, A Gardiner, D Lyle, D Barnes, W Human, S Davey. Front Row: S Byrne, M Regan, I Balshaw, M Catt, B Clarke, G Cooper, J Mallett, R Thirlby. Angus Gardiner (although born in England) is now an International Referee based in New Zealand.